DemoJam in Bangalore was exhilarating! There must have been a couple thousand people in the crowds. Seeing the evolution of the presentations and the solutions from Sunday to Wednesday was exciting. What were already great solutions were even more thrilling up on the big stage. 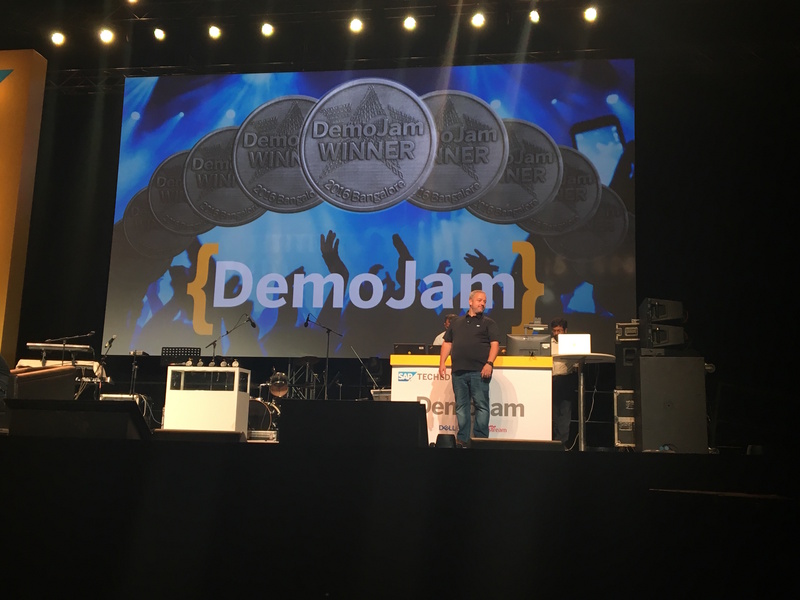 The 2 teams I judged in InnoJam blew me away with their presentations at DemoJam. They really took our feedback to heart and presented awe inspiring solutions to really tough problems. In fact, all the teams presented really thought provoking solutions! We saw cool uses of voice technologies like the Amazon Echo and some slick native Android and iOS apps. In my opinion, everyone was a winner Wednesday night. I don’t know who the crowd chose just 1! Congrats to the Amazing Alexa team! Barcelona, it’s your turn now! To take the stage and wow the crowd, you have to compete in InnoJam which will take place Nov 5-7. Sign up for your chance at fame and glory on the DemoJam stage!